Thanks for taking such good care of my armament needs for our trip down to Venice, LA last month. 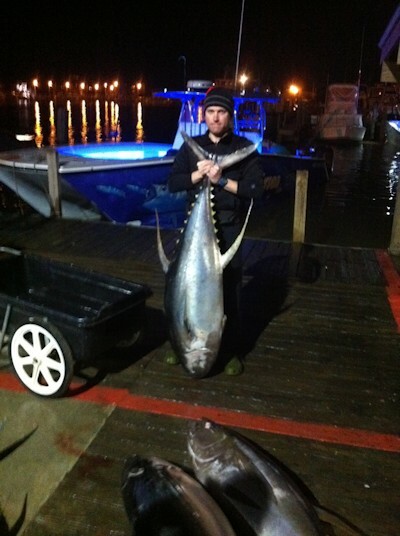 With the 65" Super Mag Hybrid you so masterfully crafted for me, I shot my personal best AJ - 70+lbs, Jack - 40+lbs, Kingfish, 50+lbs, and YFT - 108lbs. 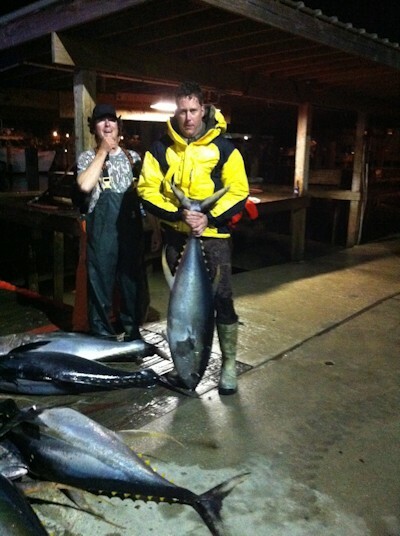 Attached are some pics of the tuna after we got to the dock, unfortunately all the other fish we shot on the rigs were sacrificed for chum on the YFT. 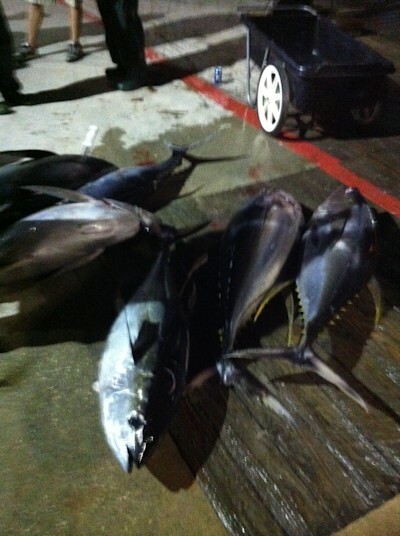 All in all, the 6 guys on the boat totaled up 7 YFT over 100lbs. Deep freezing my share of the tuna steaks which comes to more than 100lbs of vacuum sealed filets, I am prepared to say it was a good trade. Thanks again for your work and your service. Your products are better than advertised and the care you take in crafting each shines through in every use - every time.